Why do we rebel against ourselves? I vow to give up the evening glass of wine (that has become too much of a habit) and tonight have a 3rd glass instead of my usual two. I decide to start a healthy eating plan on Monday, so this weekend becomes a gorge fest of all the junk foods I envision never eating again — adding two extra pounds to the total I will need to lose. I swear I am done yelling at my kids, only to start the screaming the minute they walk in the door after school dropping their coats, shoes, and backpacks right in the doorway. When a toddler protests getting dressed for a trip to the grocery story, the tantrum is understandable. After all, maybe he is in the middle of playing and doesn’t want to go to the store. Prisoners who form a militia and rebel against their captors are being held against their will. It might not be good, but it does make sense. 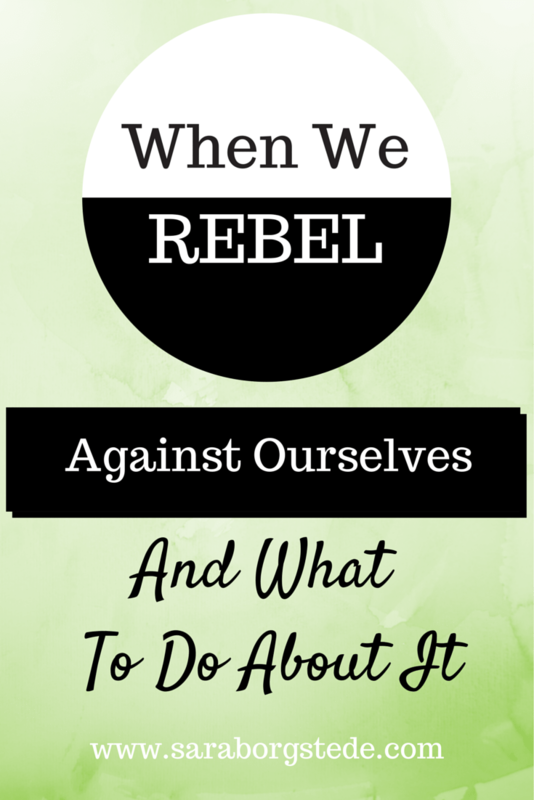 Why do we rebel against ourselves? We are adults, free to make our own choices. Let’s consider our parts for a moment. Look at those parts as little “mini-mes.” (Don’t stress — we don’t have a split personalities. We all do this.) Give them fun names and big personalities. The stronger our imaginations, the better this works! Each part of us has good intentions and is trying to give us something. 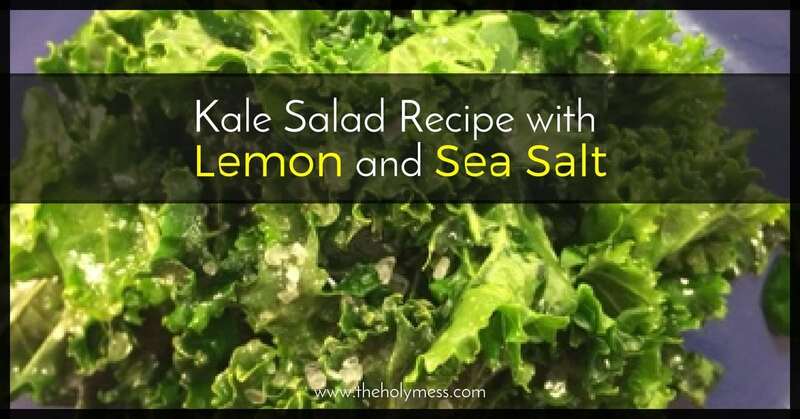 Imagine the Healthy Me (or Righteous Me, or Victorious Me, or ???). What does that part look like? How does she talk? Act? Think? How old is she? Now imagine the Rebellious Me (Overeating Me, Party Girl Me, Little Girl Me, or ???) as the other part. What does she look, act, and sound like? My Healthy Me is strong, energetic, smart, and adult. She is also an all-or-nothing thinker who expects perfection and is rather judgmental. She tends get things done with a to-do-list clipboard in hand, and points her finger at anyone who gets in the way! My Rebellious Me is fun-loving, playful, and little girl. If you tell her what to do, she says hell no, you can’t make me! Give her rules, and she will figure out how to break them plus add some extra rebellion on for good measure! What do your “Me’s” look like? Time for a Heart to Heart Conversation! The number one key to this process: Realize that all our parts have good intentions for us! Be creative and have fun with this. (Like I said, don’t freak out about the split personality idea.) What if the two parts of us could sit down and have a conversation? They both have the same end goal in mind — they want us to move forward with our lives in a positive way. Just like any other type of compromise, we can help the parts of us come together to move forward in a healthy way. Believe it or not, the parts of us that do what we consider “bad things” (overeating, smoking, drinking) actually have good intentions and are in some way trying to take care of us. As we grow and mature, we can learn to take care of ourselves in healthier, more positive ways. Healthy Me: You’ve been eating way too much junk food and processed crap lately. Time to get on the straight and narrow. Whip into shape! Let’s go! No more junk — only healthy food from now on. Rebellious Me: What? I just got back from vacation. Who wants to live like a saint all the time? I’m heading for the kids’ Halloween candy, stat. I wonder how much of it I can mow down before Healthy Me notices. Healthy Me: I heard that. You’re right, I was a little harsh there. But I’m serious. You know you feel lousy with all the junk you’ve been eating lately. Plus think of the example you are setting for your kids and the people you are leading. It’s time to start eating whole, unprocessed foods and follow a healthier program. Rebellious Me: (sigh) I know you are right, but dang, you are such a party pooper! What’s wrong with some junk food now and again? Everyone eats junk food sometimes. Healthy Me: Yes, of course everyone eats junk food sometimes. Take a breath here. I’m not saying you can’t eat junk food ever again or even sometimes. I’m just saying, how about if we follow a clean eating plan for 90% of the time. Is that reasonable to you? Rebellious Me: 90%? That means I still get 10% for Reeses Peanut Butter cups? Healthy Me: Yes, you still get 10% for Reeses or whatever you want. (laughing), but it needs to stay close to your daily calorie goals. No binging since you haven’t done that for a couple years now. And let’s find some new clean eating recipes to try, maybe some whole foods cookies on Pinterest. 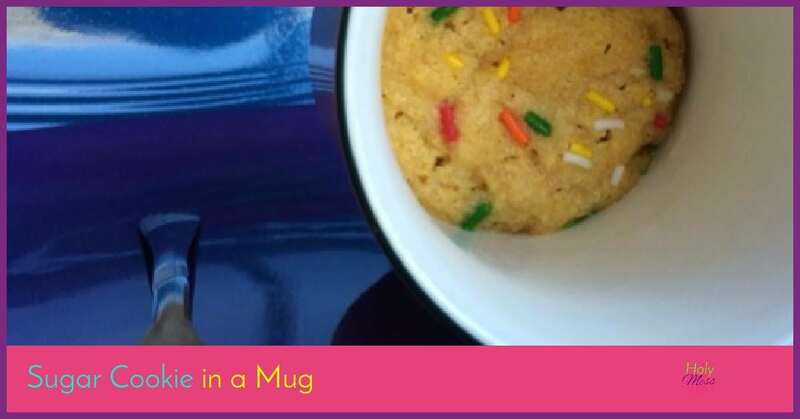 It’s fun to try new foods. What would your Mes conversation sound like? Do you see how both parts of you have the same end goals? How can we say all our parts have good intentions? What about sin? Paul makes it very clear. We are sinful. We are born sinful and every part of us is sinful. Thank goodness the chapter doesn’t stop there. Who will deliver us? Jesus Christ is our Deliverer! The only salvation we have is through Jesus Christ, our Savior. Because of his death on the cross, we not only look forward to salvation with Him eternally, we live in a state of grace and forgiveness now. Grace is God’s answer to our rebellion question. In what area of your life do you have parts that do and parts that don’t? How can you help the parts of you come together in compromise? 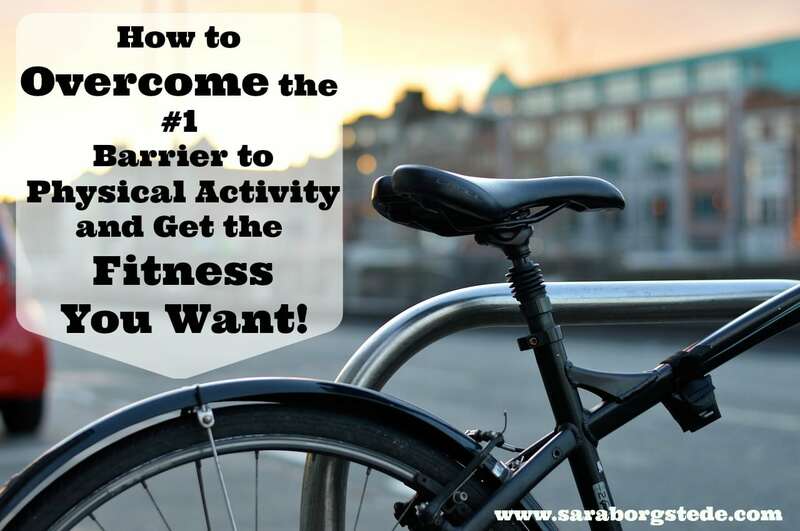 How to Overcome the #1 Barrier to Physical Activity and Get the Fitness You Want! I’m so glad all your Mes have come to agreement! Have all of your husband’s Mes come to agreement also? 🙂 haha! You crack me up every time, Rhonda!